And it’s perhaps equally fitting that this new song is called “Nocturnal Dominion“, since the night will reign during the day when the black sun comes on Monday. As you listen you can feel the descending gloom, the blotting out of the sun, the emergence of hungry ghosts from the void. It’s a chilling song, with a hard edge of violence in the rabid vocals and the frenzied riffs, but with the shroud of a frigid void blanketing the music through the sweeping movement of panoramic melody across its surging energy, and the twinkling of distant stars manifested in the sparkling keyboard notes. Unexpectedly (unless you’ve heard previous releases by the band), the song also soars, with lofting clean vocals helping to morph the music into a glorious vision, as if we’ve come out the other side of the eclipse. And the song is so well-written that this emergence feels like part of the natural flow of things rather than a jarring change. It’s a magical transformation. This new single is available for download now on Bandcamp, along with the band’s previous releases. The new Altarage album is Endinghent, and I hang my head in shame for not mentioning it before now, despite the release of an excellent advance track named “Spearheaderon” a month ago. But I have an occasion to make amends because on Wednesday another track debuted (at Metal Injection). “Fold Eksis” is grim and dissonant in its brief opening measures, a forecast of music that’s even more terrifying once the song really hits its stride. Although “stride” is a misnomer, because the song quickly becomes something like a cyclone, a head-whipping torrent of warped, jet-speed riffing and pneumatic drum propulsion, augmented by wild vocals unmoored from commonplace human existence. It’s over almost in a few blinks of an eye, but you won’t be blinking, or breathing, while these destroyers have their way with you. Listen to “Fold Eksis” below, and in case you missed it I’ve also included the video for “Spearheaderon”. 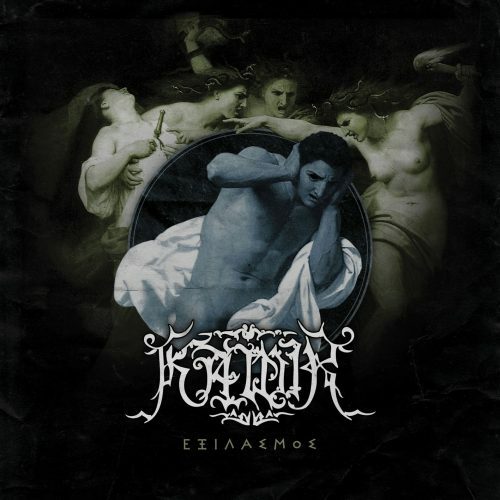 Anyone who has studied the fascinating annals of Hellenic black metal will recognize the name Kawir. Their roots are deep and old in the underground, their music has always been distinctive, and the lyrical themes of their songs have consistently drawn from the wellsprings of ancient Greek mythology. They were the subject of a Rearview Mirror post that I wrote (here) to celebrate one of their older works, and yet they also released a fantastic album more than 20 years after that one in the shape of 2016’s Father Sun Mother Moon. 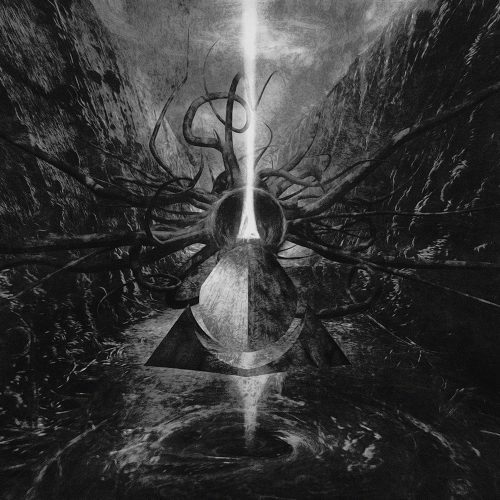 Even though that album included more than an hour of new music, Kawir are already returning with a new 42-minute album named Exilasmos. The press release we received explains that “the record is conceptually about the tragic dynasties of the house of Lavdakides (Oedipus Tyrannus) and the house of Atreus,” both of which nearly exterminated themselves, and that “all these violent and inhuman acts brought forth the wrath of Zeus and the curses were consequently laid upon the whole bloodline”. It’s hard to judge any record by a single song, but “Agamemnon” gives me great expectations about this new one. Tragedy and larger-than-life striving co-exist in the legends that form the thematic basis of the song, and the music itself displays a kind of larger-than-like drama and grandeur, mixed with the intensity of encroaching devastation. The vocal mix is wonderful, from heroic clean vocals to livid shrieks, and so is the range of venerated metal styles that Kawir interweave in the song. There’s epic riffing here, along with majestic melody and grand soloing, and the power of a rhythmic drive that makes headbanging irresistible. If there is a Greek pantheon in hiding someplace, they must be smiling over this song. I know I am. Exilasmos will be released by Iron Bonehead on November 3. 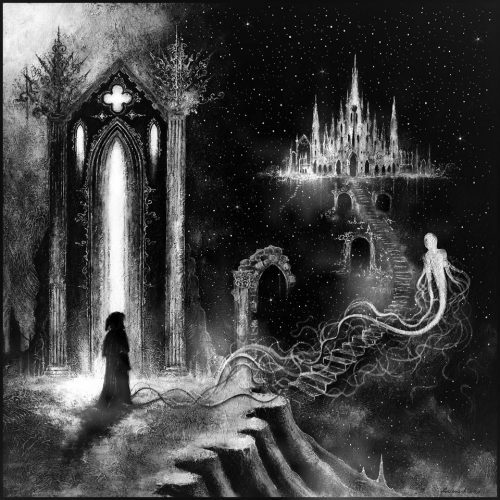 I’m only now discovering the German black/death duo Sacrilegious Rite. 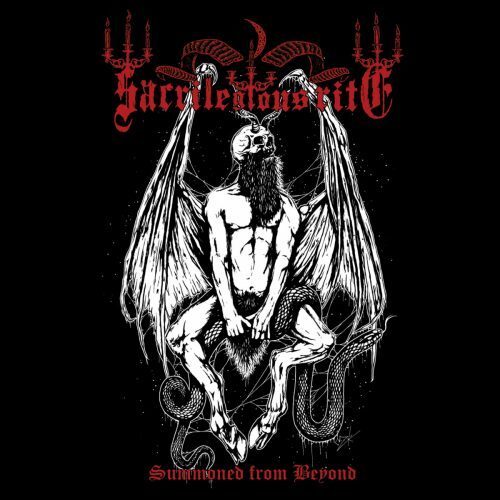 Their debut album Summoned From Beyond will be released by Dunkelheit Produktionen on November 12. So far I’ve only heard two songs from the album, both of which are now streaming on Bandcamp. One is named for the band and the other is called “Deathstalker”, and man alive, both are outstanding. Both are blood-pumping in their rollicking speed and in the venomous character of the whirring riffs and battering rhythms. But there are unexpected digressions in the music, with “Sacrilegious Rite” dropping into near silence as it enters skin-chilling arcane territory and “Deathstalker” diverting into a queasy, diseased slithering. There are hellaciously gripping, thrashing riffs on display here as well as twisted and thoroughly morbid leads, and the kind of relentless dynamism and inventiveness that keeps you on the edge of your seat. It’s all cold and cruel, but it glows with sulfurous infernal light, and it might leave you panting for more, as it did me. You might feel in need of some deep gasping breaths after those last two songs, and you’ll be able to breathe deeply in listening to this next one. 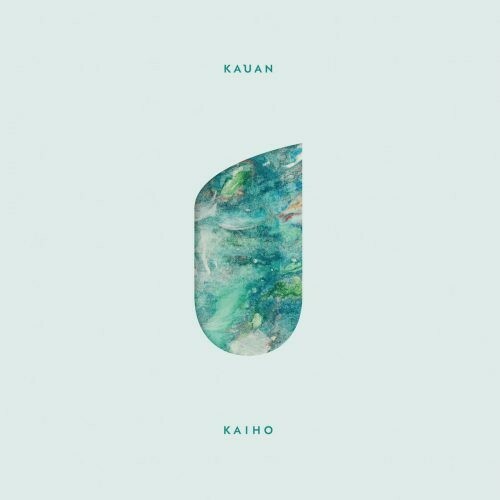 The song is “Lapsenmuisto” and it comes from the Russian (but now Ukraine-based) band Kauan’s new album Kaiho, which will be released on September 22. It follows 2015’s wonderful Sorni Nai. Kauan explain that this album “explores the transition from idyllic childhood to the care-laden weight of adulthood, fondly and tenderly bringing the faded memories of days long gone to life”. The song is a gradual accretion of layers. The foundation is laid with slow, spellbinding ambient music, and from there the band add a small, daydreaming electronic keyboard measure, joined by piano chords, and eventually a drum rhythm. It’s bright but wistful, glinting like sunrays dappling the tide on an isolated shore… and it ends too soon. An excerpt of the music is accompanied by a video on the Bandcamp page which beautifully captures the conceptual theme of the album. I had intended to end this collection with that beautiful meditative Kauan track, but at the last minute this morning I impulsively decided to pound the bejesus out of you before letting you go. 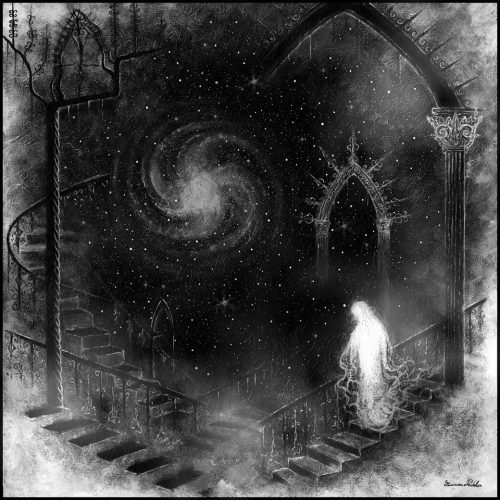 As regular readers know, I frequently benefit from suggestions I receive from a Serbian internet acquaintance named Miloš, and the most recent one that came through the ether this morning was a link to the self-titled debut album by a Swedish band named Shadowmaster. With very little time left before I had to finish packing and begin the trip to the airport, I decided to just give the first song a quick listen. That opening track, “Lost Reality“, is a massive, skull-splintering doom crusher, a lumbering, moaning giant that takes long, slow strides across a blighted landscape and smashes forests, cities, and mountains into tiny fragments with every footfall. It’s a goddamn merciless piece of battering and bruising, but the kind that induces reflexive head movement. After the song begins you don’t hear any vocals for nearly two minutes. I was keeping my fingers crossed that they wouldn’t be the kind of wailing clean vocals that seem to be in vogue in other corners of the doom landscape these days. I was able to breathe a sigh of relief. I haven’t heard anything else on this album, which was released yesterday. I hope everything else turns out to be as good as “Lost Reality”. Kauaun’s new album will be amazing. Sorni Nai was my favorite from 2015 and I have a high expectation for this. I love the way – as demonstrated from this single – they’re able to create a very powerful, simplistic melody and then make the music that follows unfold in waves of slow, melancholic beauty. They have mastered the art of melody layering.